I’m sure you’ve heard of juice cleanses, they were a major hit last year. That was when I first took the plunge to stop eating for three days and just drink juice. I wasn’t sure what I was getting myself into, but I knew that it was going to take a lot of motivation on my end. I live for food, so the thought of not munching on my favorite snacks and having a nice home cooked meal for that long was really scary. Obviously, I survived, but it was as hard as I had imagined. I wasn’t sure if I could do another three days of juicing ever again. 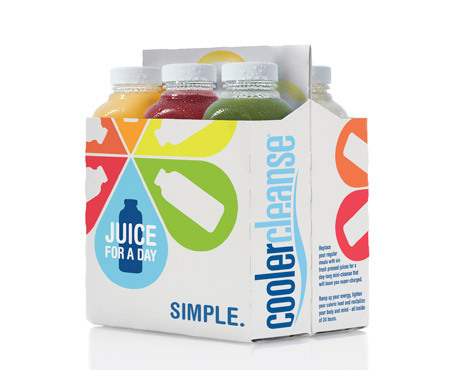 Fast-forward to yesterday; I decided to try the new Cooler Cleanse Juice for a Day program ($58). It amps up energy levels, lightens your caloric intake, and revitalizes your body and mind for 24 hours – the perfect way to start a new year! Juice for a Day is just what it sounds like. I got an assortment of six nutritious, raw liquids sent to my house bright and early to enjoy for one day. Knowing that it was just for the day made me feel at ease. I was still going to be able to enjoy my weekend. After my first experience, I already faced the fact that I wasn’t going to enjoy every single juice and I was going to be hungry for a bit. But that didn’t stop me. Luckily, Cooler Cleanse juices are absolutely delicious and I didn’t have a problem getting most of them down. The cleanse is made of up six juices (sweet, citrus, green, spicy, veggie, hemp) that equal to a combined caloric intake of approximately 1,000 daily calories. Each juice is numbered so you know what order to drink them in. Drink juice one for breakfast, and then every juice after that should be consumed every two hours. Each one is made with a bunch of crazy good-for-you ingredients with their own health benefits. The first two juices were my favorite. Juice one was a blend of kale, watermelon, apple and lemon. Juice two was a combination of pineapple, orange, and lime. I’m not a big fan of veggie drinks, but juice three made me think otherwise. It was a blend of cucumber, celery, parsley, spinach, kale, pear, lemon, and ginger. I’m not going to lie, it wasn’t the best thing I ever had, but it was totally drinkable. Next came juice four, a mixture of lemon, lime, cayenne pepper, raw agave and filtered water. I never liked the spicy juices because the only type of spicy I enjoy is a batch of Hooters Buffalo wings (now you see why I needed this cleanse?). It is an acquired taste, but not terrible. Juice five is made up of carrot, apple, beet, lemon and spinach. Luckily the apple and carrot really mask the beet and spinach taste. Finally, juice six, made with raw hemp seeds, vanilla bean, dates, and filtered water, is like a dessert. It’s sweet, yet healthy for you! Before I knew it, the day was over and I was not as hungry as I thought I was going to be. I definitely recommend trying a juice cleanse, whether it’s for a day, or more! If you’re dying to try a cleanse for the first time, or again, Cooler Cleanse is offering a 20 percent off coupon code to our readers. Simply enter BEAUTYBLITZ at checkout and get a discount on any cleanse! 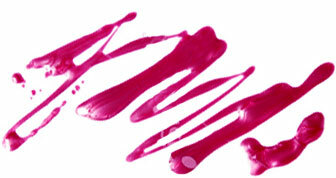 Plus, we’re giving away some Juice for a Day cleanses in our Free Stuff section tomorrow! If you try it, let me know what you think!